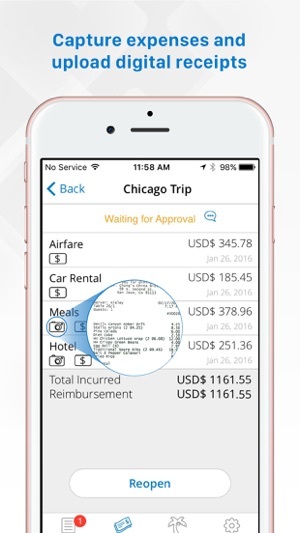 The Replicon Mobile Timesheet app helps users track time and expense-related information in just seconds from anywhere when they’re on-the-go. 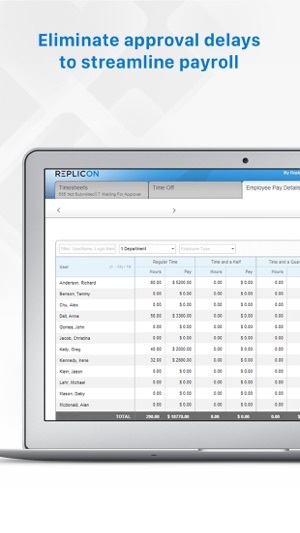 The Replicon Mobile app integrates seamlessly with your Replicon cloud-based time tracking and expense management solution, and provides instant access of this time data for running payroll, client billing, reporting, and easy expense reimbursement. Get access to timesheets anytime, anywhere, and quickly enter time ― whether it is for attendance management, internal project costing, online billing of clients, or managing shared services resources. Add comments and submit your work directly from your iOS device while it’s still fresh in your mind. Easily view the status of your timesheets. 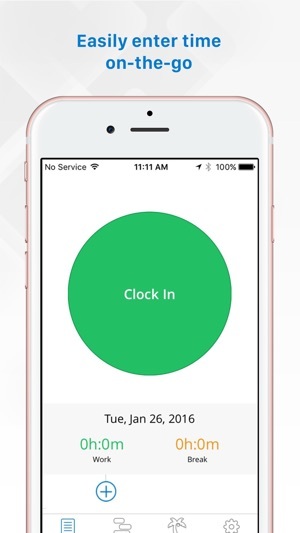 For businesses that require proof of who’s entering time, the app will snap a picture of the person entering time and record the location when time was entered. Users can do a quick search and select relevant projects, tasks, or activities and enter time against them. This time data gets automatically allocated to the projects and helps you stay on top of the project status. You can use our advanced reporting to quickly analyze projects and accurately bill clients. Resource management capabilities within our cloud-based solution help you increase employee utilization. It is very easy for end users to submit their time off requests after choosing the desired time off type. Users can also quickly view their time off booking history, check their vacation balances, or browse through their holiday calendar. These self-service capabilities empower the users and take the burden off your HR & payroll teams. 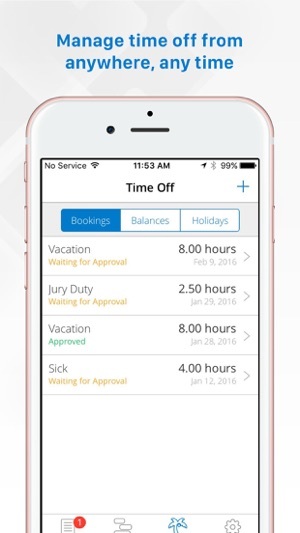 Supervisors can quickly view employee hours and approve timesheets, time off, and expenses for their teams. Automatic reminders encourage on-time submission of timesheets and expenses. The approved time gets automatically synced with our cloud solution for further processing. Users can quickly create expense sheets and enter details about those expenses, including currency, description, and whether they are billable or not. Users can attach snapshots of bills to respective expense items, which means no more lost expense bills. 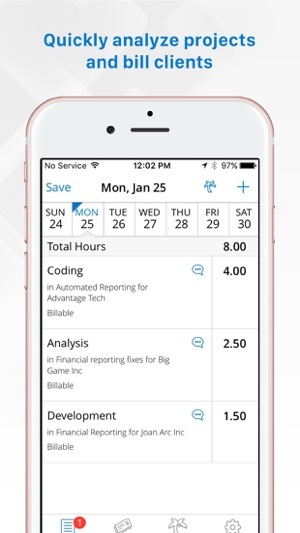 The Replicon Mobile Timesheet app supports all internet-connected iOS devices running iOS 5.1 or higher, including iPhone, iPod Touch, and iPad, and cloud-based delivery makes sure that data is seamlessly synced. We’re refreshing the interface for all configurable In/out and Time Distribution Grid timesheets. Employees using this format will be able to record time for multiple days at once, and to search projects, clients, and tasks simultaneously. Please visit the Product Updates section at community.replicon.com for more details. Nice and simple UI.. This will become my daily handy app!! 1. Expense receipts can be attached to the expense sheet by taking a picture of it. 2. Book Timeoff's on the go. 3. Clock in and out against activities/Projects. 5. Captures time in offline mode in case you lose your data connection.